The light up shower head is all the rage. Imagine yourself taking a bath with a rainbow of colors flowing over you. Do you want that your kids to be happier when it comes bath time? Would you feel safer knowing that they had lights that reveal water temperatures before they get burned? Perhaps it will be an exciting way to entertain your guests. Regardless of what reason you have for wanting one, there are a lot of choices. Click to skip to the Top 3 LED Shower Heads. 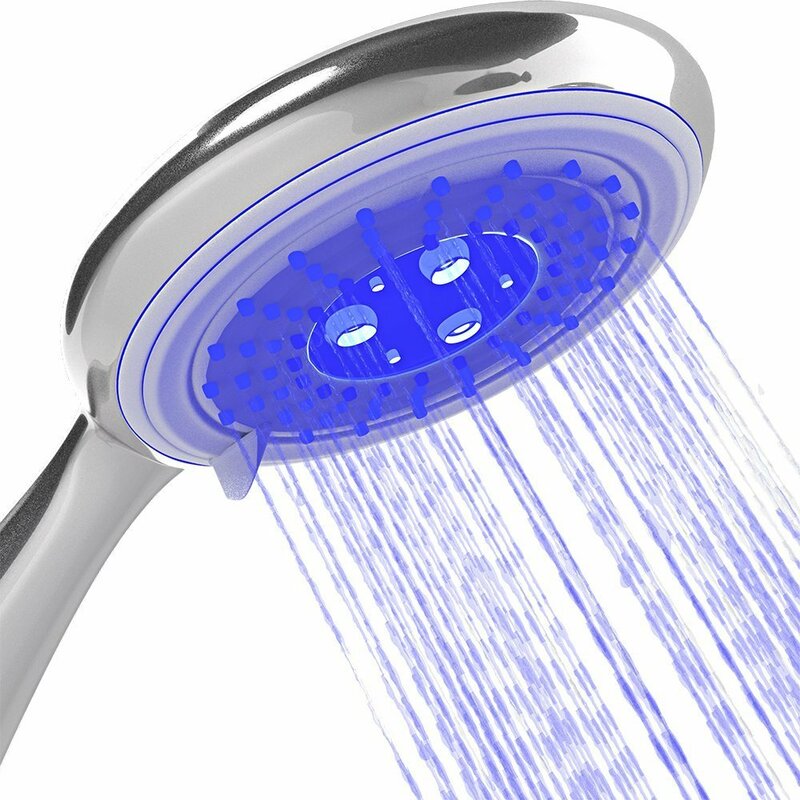 What is an LED Shower Head? 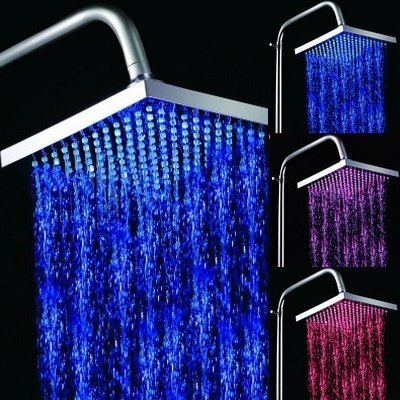 LED shower heads are gaining rapid popularity. They are able to add color to your everyday wash so that you can say “Goodbye” to same old baths. They work the same as standard ones, but more, they provide you with a rainbow of colors while you bathe. 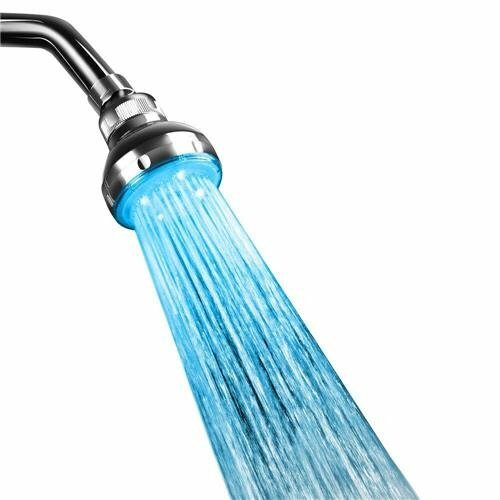 How Do Color Changing Shower Heads Work? This thread on Quora touches on it, but essentially the LED lighting works by using pure water pressure from your home. You do not need batteries or electricity. As long as the water is able to flow, you can be excited for lights as well. The advantages are determined by the person using it. They are simply a fun way to add something new to your morning routine. It may encourage children who hate baths to do so more often. It may create an even more relaxing experience for you and your partner. Whatever the reason for giving it a try, you will find a reason to fall in love with your bathroom all over again. Some options also use the LED lights to give you a visual idea of how cold or hot the water is. This can be beneficial for children and senior citizens. It signals the temperature so that you know not to enter if its too hot. For instance, a blue light will mean the water is cold and red will show that the water temperature is too hot. Choosing which one is right for you may be a difficult choice. Here are three examples of what you can experience and hopefully help you to find the best color changing system for your bathroom. The VDOMUS is an LED rain shower head that you can mount to your wall or ceiling. It is made of ABS plastic and chrome. When installing it uses the standard G1/2 female thread connector so that it will work on your already present water lines. With this option, you will have not only the luxury of bathing in the rain, but you will also be surrounded by the light of 12 RGB LED emitters. The VDOMUS features the basic colors of blue, pink, and red. However, the color of the LED lights will change according to your water temperature. You will need to buy the arm if you plan to mount it to the wall. The iCooker is a handheld unit with LED lights that change color with the water temperature. It will switch to red if your water is over 36c/90F. If the temperatures are beyond that it will flash in warning. Cold water will show as green. Water that is between 89-90F will show as blue to let you know that it should be safe. You do have to purchase your hose separately. Installing the iCooker should be easy for anyone to do. It also features a turn dial so that you can control the spray of the water. Although this may not be the best shower head, this option is pure fun. As soon as you turn on the water it will light up and then change colors throughout your wash. It installs easily, works as a normal unit, but gives you a light show in a rainbow of colors. It is a chrome finish. You can aim the head where you want it with the swivel connector.